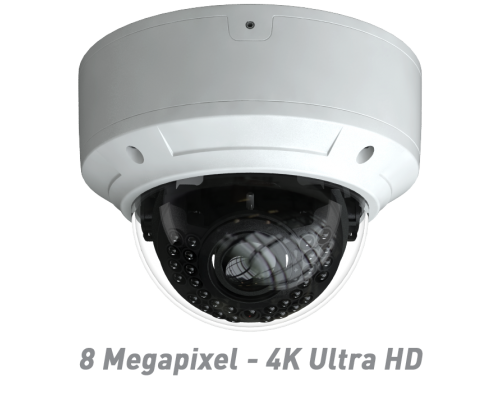 Our new 8 Megapixel - 4K Ultra HD IR Vandal Dome IP camera provides stunning 8 megapixel video at a surprisingly affordable price. 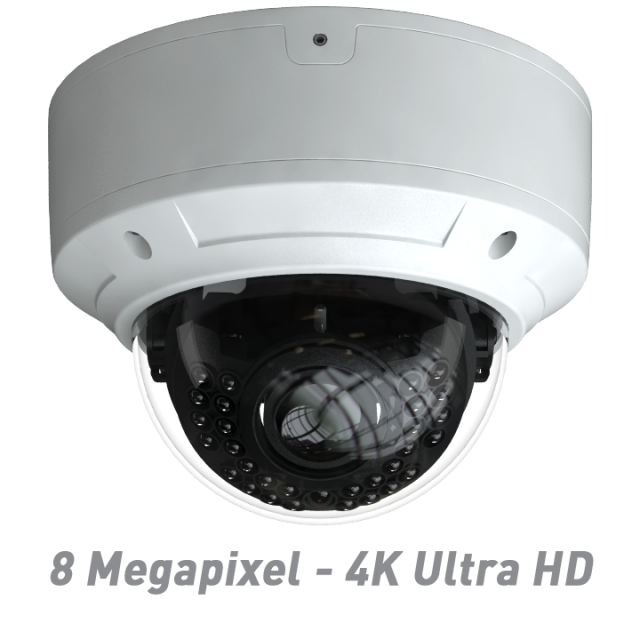 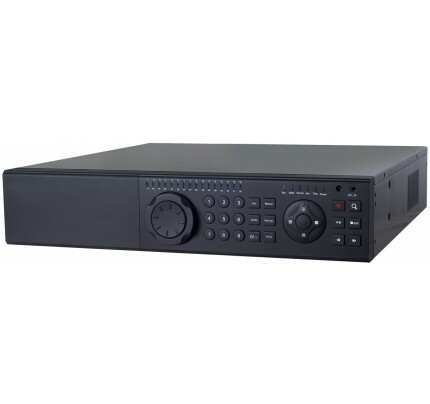 New features include motorized optical zoom & autofocus, True Day/Night operation with ICR Cut Filter, Smart IR with 30 meter (98 ft) range, H.264, MJPEG & new High Efficiency H.265 video compression, SD card slot for local recording (up to 128GB), Wide Dynamic Range, Video Analytics (with SmartNVR™ NVR), Alarm Input/Output, Audio Input/Output, BNC Test Monitor Output, full complement of wall & pendant mounts and latest ONVIF compliant. With HD resolutions up to 8MP @ 30 fps, this 8MP IP camera delivers top performance in day or night conditions. 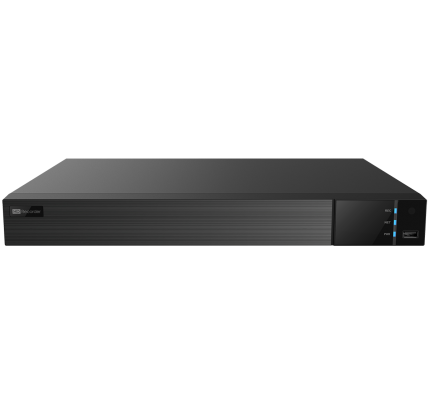 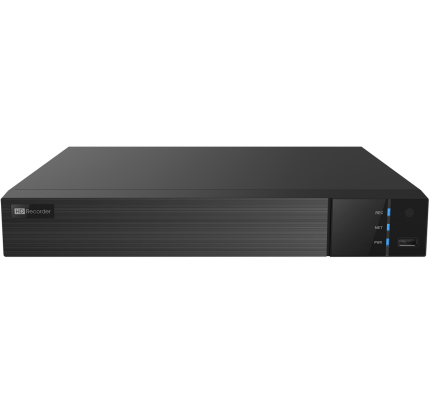 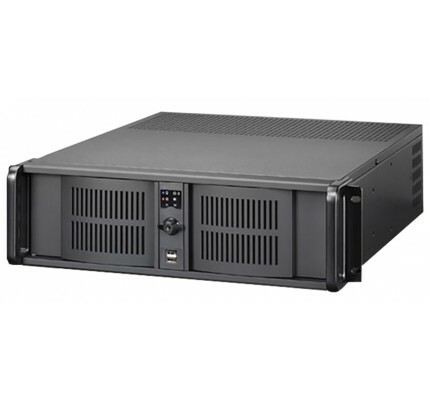 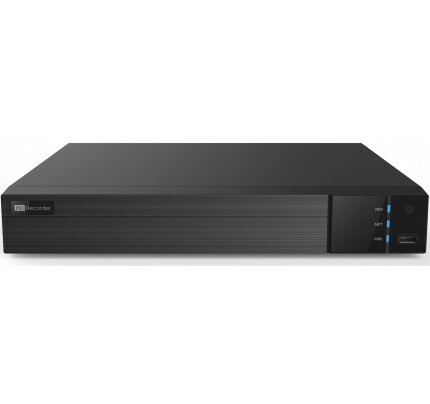 Matches perfectly with our new line of SmartNVR™ PoE NVRs & also works with our line of SmartTVI™ DVRs.